I get it, it’s hard to pick a photographer, I mean you really are spoilt for choice. But I want to take a moment, self promote and maybe even brag a little, to show you why I am right for you! Firstly and most importantly you love my style of photography. My website, Instagram and Facebook pages are all a real representation of the images you will receive from our session and if you love those, then things are going to be 👌. You will get black + white and colour photos, some will be blurry and, some will be about the moment and not technically perfect, I shoot how I feel and for me the perfect photo is about that that. If that’s not your thing - totally fine I’m more than happy to recommend someone who is what you are looking for. I shoot with 2 Canon cameras (6D MKI + 5D MKIV) and 2 lenses (Sigma 35mm 1.4 + Canon 135mm 2.0L) and I have spent a lot of time learning how to use both these to achieve what I want to create. I have also spent countless hours (and money, don’t tell my husband) in perfecting my style and ability. I have mentored with other AMAZING artists, done workshops and online courses, all with the aim of creating the best memories possible and I am still learning more each day. I use all this knowledge that I have gained to create incredible photos for you. No matter where you want to have your session I am there! I love both indoor and outdoor sessions. What is most important to me is that you are somewhere that has meaning. Your home always holds many memories but also the beach where he proposed or the creek where your daughter caught her first fish - all of those locations mean SO much to you and therefore are important to me. Also remember I am willing to travel anywhere and if you get some friends on board, no one pays travel! There is no industry standard for photographers, in fact many people just pick up a camera, open a Facebook page and are open for business. I, on the other hand, have an ABN, public liability and equipment insurance, a website and a first aid certificate. This is my job, not a side hustle, and as such I treat it, and you, with the respect that is deserved. I am always here for you! Any questions you have, I’m here to answer them. Do you have concerns? Let me calm them. Not sure of what to wear, go, do? Let’s chat and find the perfect outfit, place, thing. It is an important choice to get so personal with someone, so take your time, ask questions, get to know me because for me this most important thing is that you are comfortable. 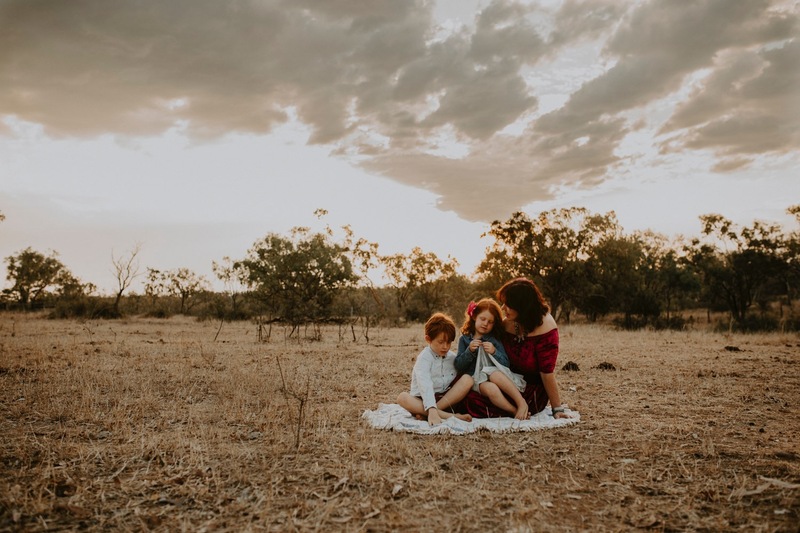 Click here to book your family or couple session in Cairns, Townsville, Brisbane, Melbourne or elsewhere in Australia. Camilla French is an intimate and emotive, couple, family and wedding photographer. Camilla is based in North Queensland, however, is available for travel Australia wide. She visits places such as Townsville, Cairns, Brisbane and Melbourne to name a few, click here for current travel dates.